While I was at the Natural Products Expo West in Anaheim earlier this year, I had the pleasure to interview Dr. Charles Benbrook. Dr. Benbrook is a researcher at Washington State University’s Center for Sustaining Agriculture and Natural Resources. He recently led a large study on the health benefits of whole, organic milk. Dr. Charles Benbrook began his research on organic milk after following several studies from Europe focusing on the nutritional differences of organic and conventional milk. The countries that had done these studies, included the U.K., France, and Germany. Benbrook said “Each of these studies reported significant differences in omega-3 fatty acid levels with the levels being higher in organic and concluded that organic production systems produced a healthier fatty acid profile than conventional milk”. He wanted to see if this also applied to dairy in the United States. One of the questions on people’s minds in the U.S. was whether there was a difference in organic milk depending on the time of year it was produced in relation if the milk was only better in the seasons when the cows were on pastures. He said another question was whether “the organic milk produced in all parts of the country equally better in terms of the fatty acid profile”. 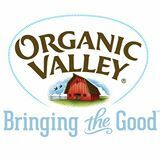 With these questions looming, Dr. Benbrook encouraged Organic Valley to do more testing of its own milk supply as he saw a strong argument to get a qualified health claim on omega-3’s from the FDA. After the passing of the Food Modernization, a company get a health claim if they can prove that their product has 25% or more a beneficial nutrient than the competing brands. 380 samples organic and conventional milk. This would become the largest comparative study worldwide. Organic Valley than shared the data with Dr. Charles Benbrook and asked for his interpretation of the data. Dr. Benbrook said, “I think there’s a very important story to be told with this data”. He then asked to have access to the data and do some analysis. Dr. Benbrook followed with putting a team together. He’s description of the team’s reaction to the data was: “We were shocked at how significant the differences were”. They found 62% higher omega-3’s in the organic milk. They found this to be significant across the country and over time. The team also found 25% lower omega-6’s and 19% higher conjugated linolaic acid (CLA). While there have been thousands of studies done on the differences in the health benefits between organic and conventional foods, Dr. Charles Benbrook found that none of them came close to the differences between organic and conventional milk. Organic milk has an omega-3 ratio 5.7 in organic to 2.3 in conventional. As the Appropriate Omnivore, I often talk about the benefits of omega-3’s in grass fed beef and milk. Dr. Charles Benbrook echoed why these foods are a great source of omega-3’s when he said while the omega-3 fatty acids levels are relatively low when comparing milk to salmon, but as people consume much more milk and dairy products than fish, milk becomes a pretty significant source of omega-3’s. From the study, Dr. Charles Benbrook recommends three dietary interventions. The first intervention is switching from conventional to organic milk. The second is going from three servering of dairy a day to four and a half. The final change is avoiding two or three foods in a person’s daily diet that are high in omega-6’s. In addition to increasing dairy intake, Dr. Benbrook also talked about the importance of reducing sugar consumption. Another key aspect of Dr. Benbrook’s study is that this only holds true to full fat milk. Benbrook said “When you go from whole milk down to 2%, you’re giving away almost half of the benefit.” He explained the omega-3’s come out in proportion to however much fat you take out. Now that the research has been published, I asked Dr. Benbrook what the next step is. He said they’d like to broaden the sample, develop even more accurate data on the differences, expand the nutrients that they test. Specifically, they’d like to find if the antioxidant levels increase in organic milk, as they’ve found in European studies. Benbrook said they’d also like to “dive into strategies for organic dairy farmers to maintain production levels as they shift their cows to more grass based diets”. Additionayl, Dr. Benbrook would like to do the exact same study on beef, comparing organic grass fed to feedlot beef. Dr. Charles Benbrook’s study is an important step in the general public learning about the benefits of both organic and whole milk. As most of us have grown up drinking coventional skim milk during our school lunches, this study shows that only with organic whole milk, do we reap the benefits of omega-3’s and CLAs.